Hi its me your one of your Site Director, SonofJay and welcome to my blogging thread! 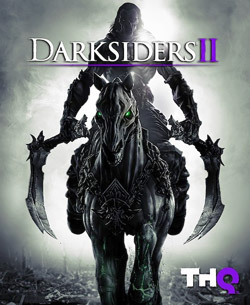 Set during the same time period as the original game, Death's ultimate goal in Darksiders II is to restore Humanity; the Apocalypse was meant to occur once the Human race was ready to join either the side of Good or Evil in the End War, tipping the Balance and ending the war between Darksiders and Lightsiders once and for all. However, because the Apocalypse occurred millenia too soon, Humanity was completely wiped out by the demons who rampaged across the Earth. At the same time, Death seeks to keep his brother War protected during his journey to clear his name after he is framed for causing the Apocalypse. A sub-plot in regards to the origins of the four horseman and their once glorious race known as the Nephilim will be a part of Darksiders II as well as further explanation about who The Makers were. There was an official Comic released that focused on the other horseman and it has been hinted many times that they will all appear a lot more in Darksiders II. Death's arsenal of weaponry is yet to be revealed but if promotional art is accurate his iconic scythe, named the Harvester, will be the primary weapon of the game, as was the case with War's Chaoseater. It was possible for War to obtain the Harvester as a secondary weapon in the original game, but only as a pre-order bonus or through a cheat code. Otherwise, he used a different scythe, and therefore War holding the Harvester is considered non-canon. Death is said to be a much more magic-focused character, and if the magazine cover is to be believed his weapons will have both two-handed and dual wielded forms. The new combat system is much faster, and more reliant on offensive agile manoeuvres than War's more tank-like reactive combat; while War, as the incarnation of violence, was able to withstand mighty blows, Death is somewhat physically frailer than his brother, unable to block, and must rely on dodging to avoid damage. Despite the concept being intrinsically tied to War, Wrath is once again the 'magic' of the game, offering up special attacks and abilities to add variety to combat as well as secondary weapons for changing up combos and reacting to specific enemy types. The new loot system puts a bigger emphasis on allowing the player to create a version of Death that plays the way they want to, with, for example, items that give more wrath allowing you to be more like a spell caster and weapons designed for melee giving bonuses to regular combat. Stats are now also a big part of the game emphasizing how much more of an RPG Darksiders II will be compared to the first game. Although planned for the first game development constraints prevented the stat system from making its way in but it has returned for Darksiders 2 and is fully utilized to coincide with the loot system. The four primary stats are Strength, Defense, Agility and Arcane the allocation of which determines how you wish to play your version of Death. A large Two-Handed Mace with an area-of-effect knockback. Dual wielded Scythes that merge in to one Giant Scythe at the end of each combo. The Ghost Hook - primarily used for navigating and traversing the world like War's Abyssal Chain and also has the dual function of getting closer to enemies. The Void Walker - a portal generator for getting to otherwise unreachable areas. Most weapons and armour will come in the form of loot items such as in an RPG and are fully customizable but designed to all fit together regardless of combination. Different stats will be better for different specializations. Death has his spectral mount Despair; much like Ruin in the first Darksiders, Despair acts as Death's mode of fast transportation across the world of Darksiders II. This time around he has been part of the game design from the beginning, and it is believed that Despair will be much more utilized than Ruin was in the original Darksiders, as the first game's environments were supposedly developed for some time prior to Ruin being added to the game as an active mechanic. As War had his Chaos form so does Death have his Reaper form; a much larger, more powerful super-state that grants far greater amounts of power for a short period of time. Since Death is a more flashy, egotistical character than the brutally pragmatic War, his Reaper form is featured in cut scenes as well. Feast of Crows - a murder of crows attack enemies, distracting them and making it easier for Death to land blows. Death was designed very differently from War, appearing lean but not emaciated, a distinct contrast to his usual depiction as a cloaked skeleton. His armor is very similar to War's in design, though with Death preferring to forsake any torso or shoulder armor to give him the maximum amount of manoeuvrability - unlike War, Death cannot block, and relies entirely on dodges to avoid injury. The four horseman themselves are the last remaining members of a race known as the Nephilim, incredibly powerful super-beings with varying forms relatively similar to that of humans. 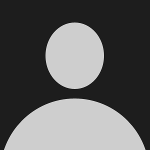 The four were controlled by the neutral faction known as the Charred Council, initially represented as three giant stone faces in the first game. The Nephilim were almost wiped out after they declared war on Heaven; it was believed that the role of the species who would sway the Balance in the End War would go to the Nephilim, who were outraged when instead that destiny was given to the mortal race of Humans. The forces of Light wiped out all but four of the Nephilim in the ensuing war. 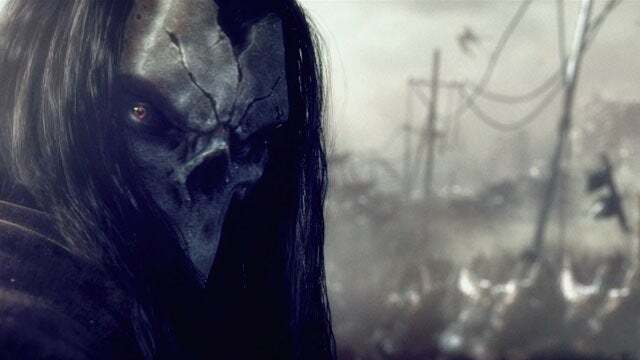 The primary setting for Darksiders II is a realm of forgotten battlefields and destroyed worlds left behind by countless wars between Heaven and Hell. The major local is known as the Abyssal Plains. The more fantastical setting of Darksiders II has allowed Vigil to expand their artistic style much more thoroughly across the game than in the original since Earth isn't the primary location this time around. Town hubs with NPCs will be present offering up the standard RPG tropes of item vendors and optional quest givers. Nerr. I think its fine, since its a blog. I love Joe's Madureira design style in this game, in fact some concept art comes from this famous comic artist. In fact the story is developed by Madureira Itself. I love his style, and how he draws girls heheee. One of my favorite comic artist of all the times. It is a very good blog. I have already subscribed to your request, so let me tell you more.